Our latest article written by stone guru Michael (over 20 years in the stone masonry business) explores how exciting and interesting designing up your new patio can really be. From traditional twists to enhance the overall sophistication of your stone paving patio to free-style patterns. Choose nice Limestone paving and create a funky courtyard by mixing it up with square and rectangle shaped paving stone. Now to really add the latest trends to your garden infuse natural plants, into random spots between slabs, border your patio with nice shrubs and even let you’re paving trail of into the grass area of your garden! Click here to read more of this inspirational article and start designing your next artistic addition to your home!! 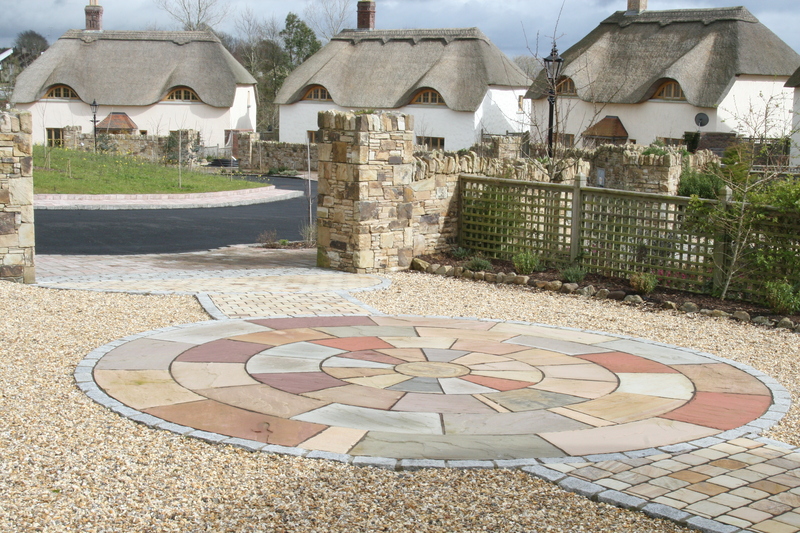 For driveways, paths and patios nothing quite matches the appeal of paving stones set in eye-catching paving patterns. 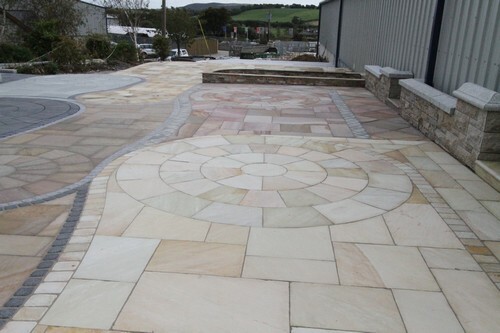 Sandstone, limestone and granite paving are all attractive paving materials in their own right, but when arranged in pleasing designs, they can be elevated into art. A paving design can transform a drive into a unique, outdoor mosaic that instantly establishes a home’s style. 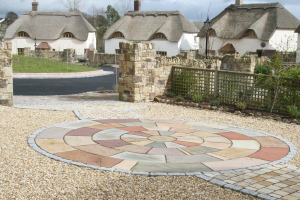 The various shapes, textures, colours and sizes of stone paving material inspire a broad spectrum of paving patterns, from precision-cut circular designs to complex combinations of geometrical shapes. A distinctive patio border clearly marks the point where the patio ends and plantings begin. A driveway bordered in a different shade or pattern of stone helps delineate the parking area from an adjacent walkway. S&N Granite supply top quality paving materials which are meticulously cut to suit your paving design. Contact S&N Granite today to find out more information or visit their showrooms to view all their natural stone products. When it comes writing the most interesting articles on stone paving that can be found on the web, check out latest article on choosing paving stone for your home or garden. You can select materials from stone paving suppliers that will either blend in with architectural details like window sills and door arches or that will stand out in stark contrast. Both approaches can achieve pleasing results. Great home design contains both unifying elements and contrasting components. The following tips can help you match your paving stone to your personal style. Read the rest of this lovely little stone paving article on our website and while you are there check out our ever expanding display area with limestone paving, cobble paving and sandstone paving. 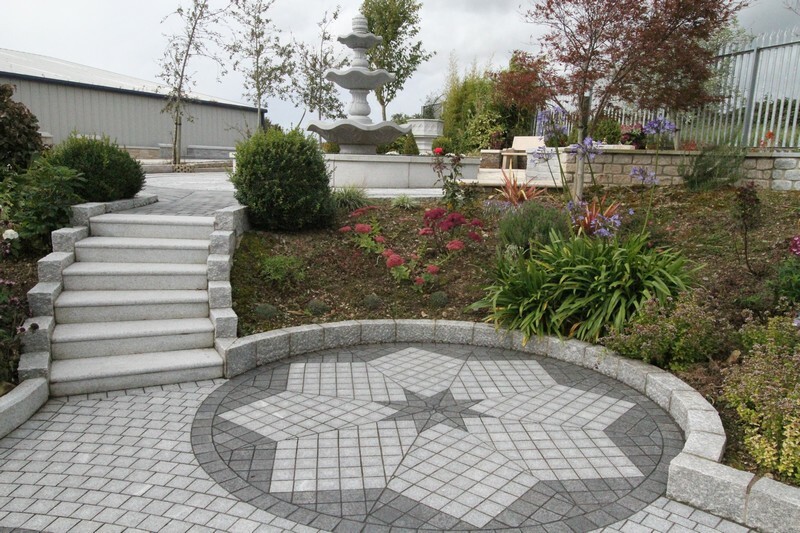 S&N Granite are Ireland’s leading stone paving and cladding supplier since the 1990’s. S&N Granite have released their latest article focusing on paving the interior of your home with natural stone paving. We look at considerations such as looking for flooring materials that are not only beautiful but durable and easy to maintain as well. Natural stone paving ticks all the boxes. The article goes on to explore the sizes and finishes that will best suit the modern home-owners tastes. Patterns with contrasting insets or borders turn plain floors into attractive focal points. Click here to read more about choosing stone paving for your interior paving project. 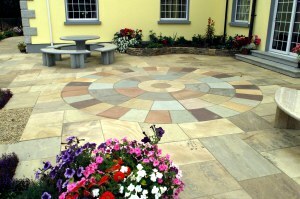 Or you can visit our paving display area on one of Ireland’s best stone paving websites. 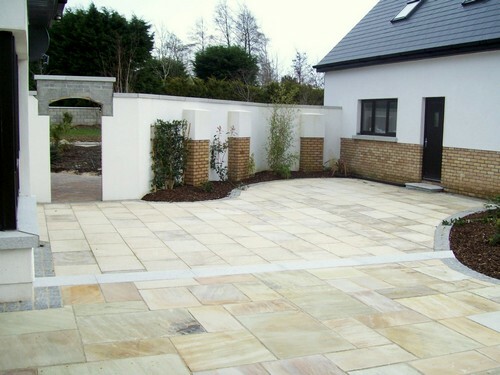 We have one of the largest ranges of paving stone in Ireland. SNGranite have released their latest Stone Paving informative article on their new and improved Natural Stone Website. This week we have combined the top 0 tips you need to consider before beginning your next stone paving project. 10. Finding the Best Paving Company in your area. Click here to read more on each of the tips or contact us, the experts at SNGranite where we would be delighted to explore any questions or queries you have about your stone paving.